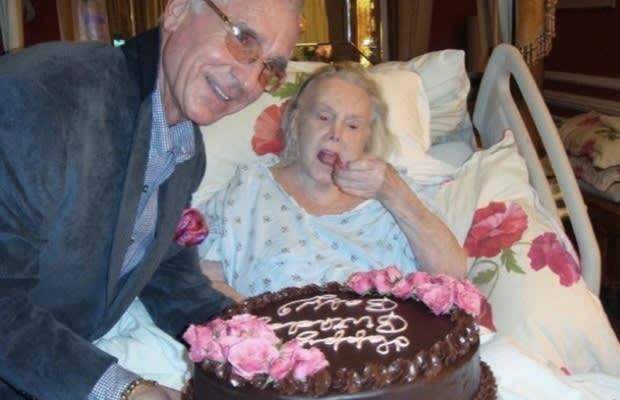 CNN is reporting that Prince Frederic von Anhalt, the husband of 94-year-old Zsa Zsa Gabor, is trying to get his once beautiful wife pregnant. He told CNN: "I&apos;ve gone through the initial steps of donor matching and blood work and next week the donation process will begin." Prince Anhalt wants his "Golden Girl" pregnant, even though she suffers from a number of physical aliments. She hasn&apos;t been able to walk since 2002, and she recently got hip replacement surgery and one of her legs amputated. The 67-year-old prince says that he can take care of the baby. Anhalt also claims that the purpose of having a baby is so they can have someone carry on the Gabor name. Zsa Zsa has a daughter from her second marriage, but she doesn&apos;t use her mother&apos;s name. In case you didn&apos;t know: Zsa Zsa is famous for being one of the most beautiful women in the world during the &apos;50s and also for being married nine different times. Prince Frederic von Anhalt, on the other hand, is famous for being Zsa Zsa&apos;s ninth spouse and now for trying to shove a baby into his super senior citizen wife.